The Signature Tree and Shrub Program includes year round monitoring and treatment for insect and disease activity on all plants covered by our program. We use a specially formulated landscape fertilizer with macronutrients for plant development and health. 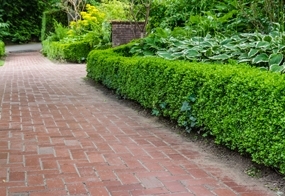 Tree and Shrub care treatments are scheduled at five to six week intervals to provide your ornamental plants with consistent nutrition and protection. Fungicides are applied to prevent foliar diseases during the primary growing seasons. The most common plant disease is leaf spot, which causes discoloration of the leaves and leaf drop. Insect Pest Control includes a rotation of insecticides throughout the spring and summer to ensure consistent plant performance and discourage damaging insects. 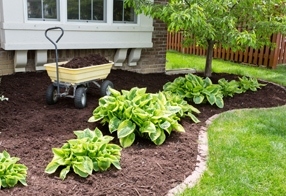 Fall and spring fertilization of landscape plants provide primary nutrients that can be used in the root system. TurfPride’s special formulated Tree and Shrub Fertilizer treatments consist of Nitrogen (for green-up), Phosphorous (for root development) and Potassium (for cold and warm weather hardiness). These elements are essential to plant growth. Additional micronutrients or minor elements for optimum growth and plant development are supplied in small amounts to provide that extra boost for your plant’s growth. 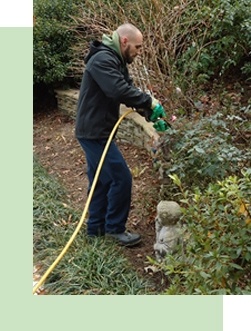 Deep Root Fertilization-This fertilization program is administered with special injection equipment to provide your trees and shrubs with nutrients where they need them, in the root zone. 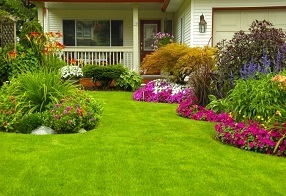 This method of fertilization is more effective than surface applications of commercial fertilizers, which must break down into a water solution and leach down to the root zone in order for the landscape plant to utilize the nutrients. Surface applications of granular products may be less effective due to surface wash off from heavy rains or irrigation, or lying around the base of the plant due to the lack of water dissolving the grains. 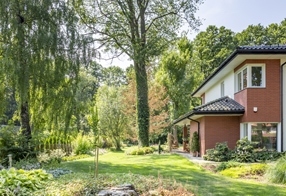 Spring Deep Root Fertilization also contains a special mixture to address summer damaging insect pest such as Japanese Beetles, aphids, Whiteflies and Lace-Wing Insects.